Zionsville, Indiana record expungement services are most trusted through our criminal defense law firm. 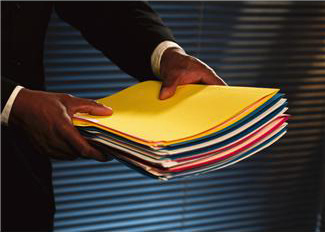 Our attorneys retain extensive knowledge on expunging criminal records, felony charges, misdemeanors, and more. Come in for a free consultation right away if you think you may qualify for criminal background expunction. This law may not last long due to it’s declining popularity. It could be repealed at any time. Don’t miss an opportunity to clear your name and start fresh. It could mean a better career and future for you and your family. Call 317-636-7514 for Zionsville, Indiana record expungement services and information today. Expunging criminal records in Zionsville, IN is a delicate and complicated procedure. Trust our team of licensed attorneys to file your case professionally; without any mistakes or set-backs. We are highly knowledgeable on the new expungement laws. We can determine whether or not you qualify, free of charge! Don’t miss this chance to erase past mistakes and start over because this unpopular law may not last very long. Call and speak to a live legal representative today for advice and assistance expunging your criminal records in Zionsville, IN and its adjacent counties. This Law May Be Repealed Soon, Making This a ONCE IN A LIFETIME OPPORTUNITY! *For Felonies Involving Serious Bodily Injury or Official Misconduct, all eligibility requirements are the same as above; except the time period changes to 10 years and the court MAY or MAY NOT approve expunction.